Lemvigh-Müller is the largest wholesaler of steel and technical installations in Denmark. The company consists of two departments: “Technical Installations” and “Steel”. The former supports installers as well as the wastewater treatment, electric power, and machine industries. The latter sells steel and metals. 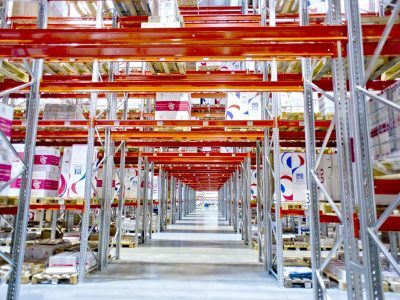 The WMS system, implemented in the central warehouse, has helped the company to significantly reduce the number of errors during a day. The company is quite large; it employs about 1.2 thousand workers and has 23 shops. From the logistics perspective, all the deliveries are sent from the central warehouses located in Odense, Kolding and Randers. 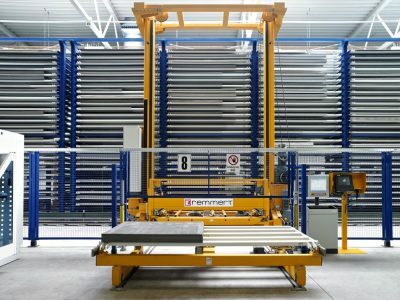 The largest of them, in Odense, offers the customers about 130 thousand products. Every fourth of them is available in the warehouse, which means that about 30 thousand products are stored in Odense. The control over such diversity is a considerable challenge for the logistics function. Especially as the products in the warehouse are very diverse. The smallest products weigh only one gram, and the biggest ones even three tonnes! The biggest units measure only six metres, while the smallest ones only a few millimetres! Everything is stored on the area of 25 thousand square metres. There are also transport roads (on a few levels), a lot of stairs, conveyor belts and many warehouse employees busy with storing, picking and packing. Many workers are equipped with voice control tools. 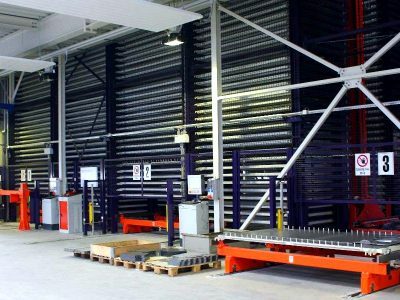 The Achilles’ heel of the central warehouse of electrical products in Odense remained for many years the lack of transparency of the product range, which resulted from the obsolete IT management system. To change it the company has decided to implement a new WMS system. According to the LEAN philosophy, the important role in such facilities is plaid by the bulletin boards. The goals and priorities were marked with specific colours. It highly facilitated the work of the employees, especially those hired for a temporary period (there are a lot of them in the warehouse). Due to a lot of groups of products, the warehouse is divided into five zones as well as the input and output sectors. In general, the rules are clear. If the order is received before 6 p.m., the product is delivered on the next day. And, if the customer choses the night distribution, the delivery takes place before 7 a.m. in the next morning. On average, about 11 thousand items are picked up every day. In some cases these are orders for a few pallets of the same product, while on other occasions single pieces are ordered. “We worked using the LEAN approach and self-managed teams, but we were not able to increase our work efficiency and quality more. We just did not have the sufficient data, and for sure we did not have the real-time data. 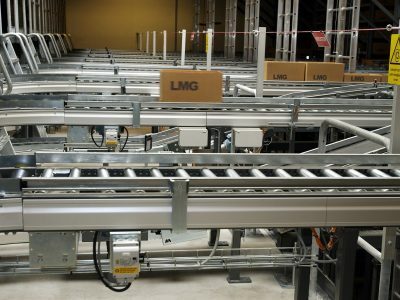 We are a very diverse warehouse with a broad range of products and many configurations, so we have decided to adapt the WMS system to our processes,” said Steffen Rasmussen, the Logistics Director. Many companies using Astro WMS applies 80 percent of the standard solutions. We probably have 80 percent of our customized solutions. The system is very flexible, and we can introduce many adjustments on our own,” explained Mr Rasmussen, listing a whole spectrum of benefits for efficiency from the implementation of the system. Order verification has been reduced from two to one (with weight control). Order picking is conducted directly in the delivery box. There is also a possibility to use new methods of order picking, sorting and receipt of incoming goods. The efficiency is monitored in real time, and stocktaking is conducted systematically (instead of the annual stocktaking which could take 2-3 days). The Head of Logistics in Lemvigh-Müller mentioned also the benefits for quality. First of all, voice-controlled order picking translates into fewer errors and safer work place (when the employee’s both hands are free). The number of errors in deliveries has been reduced and the level of employment can be planned easier. The implementation was organized by a project group consisting of 25 employees of Lemvigh-Müller and Consafe Logistics. The process took several months. The preparation works included process mapping divided into three areas: incoming goods, storage and dispatch. Our aim was to simplify the work and selection of process owners responsible for different areas,” said Rasmussen. The works included also measurements and verification, linked with the SAP system, and thorough testing and training of the employees on how to operate the system. The trials also assumed extreme situations to check the functionality and efficiency of the system in the case of a huge volume of data so that to make sure it will function properly in all working conditions. During the production start-up, we managed 9 thousand lines of orders daily from the very beginning. A few minor errors occurred. At the same time when we were implementing the WMS, we also started using a lot of new devices. We put tremendous efforts to test the equipment and train as many workers as possible. It enabled us to identify and remedy most of the equipment issues before the system was launched,” said Rasmussen. He also added that the implementation resulted in a 50 percent reduction of errors (from 40 to 20 a day), which means the quality of 99.8 percent and the general efficiency growth by 5-10 percent.